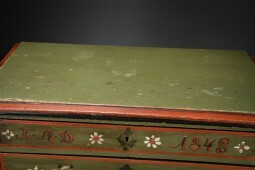 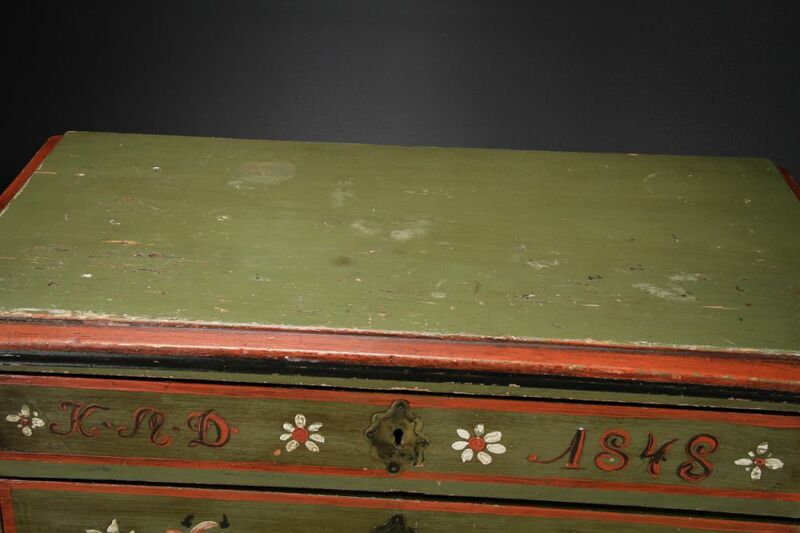 This chest of drawers was made in 1848. 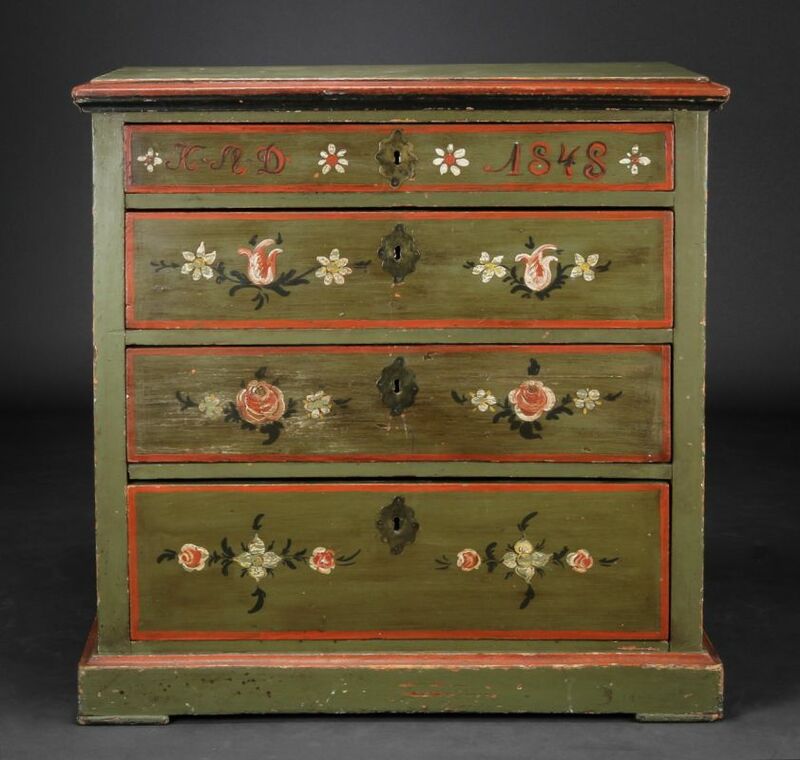 It was constructed in Scandinavia - Sweden or Denmark - using the indigenous pine timber, and featuring its original painted surface of olive green, brick red, roses, tulips and daffodils. 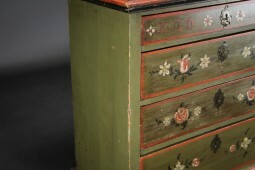 The escutcheons are a very decorative brass plate, and there's a key to pull open the drawers. 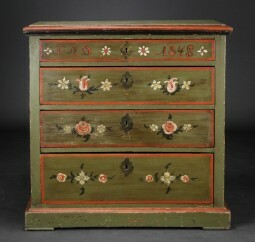 The measurements are 95 cm wide, 49 cm deep and 96 cm high.